Is a credit card debt collection agency contacting you on behalf of a creditor to collect delinquent debt? While you are responsible for repaying money you borrowed, you also have rights when it comes to the way you are treated by collection companies. In fact, the law prohibits these agencies from doing and saying certain things, as they conduct business and try to recover money that people owe. This law is called the Fair Debt Collection Practices Act, which is policed by the nation's consumer protection agency – the Federal Trade Commission. 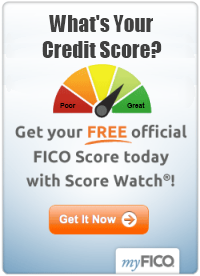 Following are highlights of the Act and as it relates to credit card debt collection. Harass, intimidate or abuse you... This means you should not received multiple, repeated calls throughout the day. That is harassment. Moreover, collection agents cannot use foul language or imply that they will hurt you or someone you know, if you don't pay up. They must be civil at all times when communicating with you. Collection representatives cannot threaten to take your wages, sell your home, or arrest you. They cannot say they will sue you, unless they actually intend to do it. Call you at inconvenient times... You should never receive credit card collection calls before 8 am or after 9 pm. And if you don't want calls at work, you can politely tell the collector not to call your place of employment again. The law requires that agents accommodate your request. Embarrass you... Agents cannot disclose or threaten to disclose your loans to anyone else, except those authorized. Your debt is your confidential matter and collector must honor that. If you are not sure if you owe the amount as quoted by the agency representative, you have a right to request written verification of loan ownership and the actual amount due. 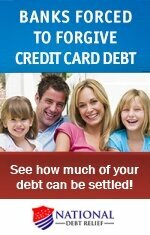 Would you rather not hear from the credit card debt collection agency? You have a right to request no contact you. Your request must be in writing and you should not receive additional contact, unless the agency is proceeding with filing a lawsuit. Please note that while you have requested no contact, you are still fully liable for paying your debt. Take notes during calls and keep a copy of all correspondence with the collection agency. This information is beneficial for reference purposes, and will be important if you end up going to court. If you have an attorney representing you, the Fair Debt Collection Practices Act stipulates that the collection firm should only correspond with your attorney, and not you. For more information, see the articles below and/or visit www.ftc.gov to read the Act.